Miriam and Chris have gone off carbohydrates so, of course, they gave us what they did not plan to eat anymore. One thing they gave use is something we would never think to buy for ourselves—Fiber One cereal. 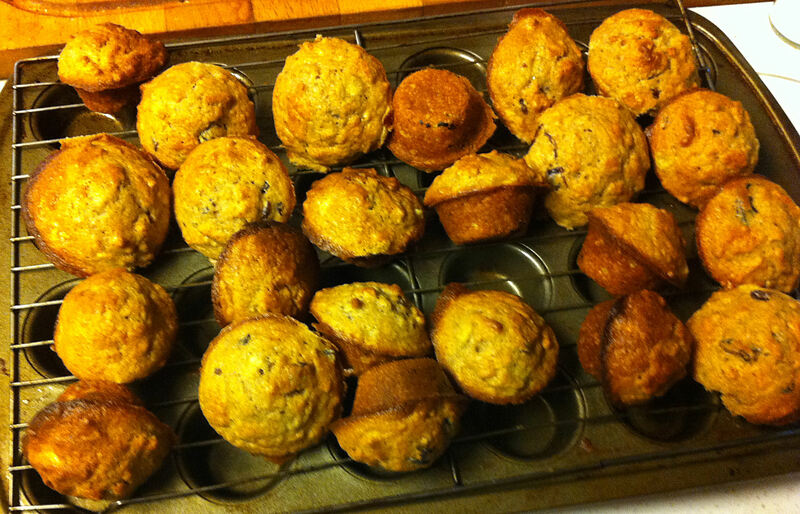 I do not generally eat a bowl full of bran rods for breakfast, so Jan looked up a recipe for muffins. Their recipe was too sweet, but I adapted it to our tastes. 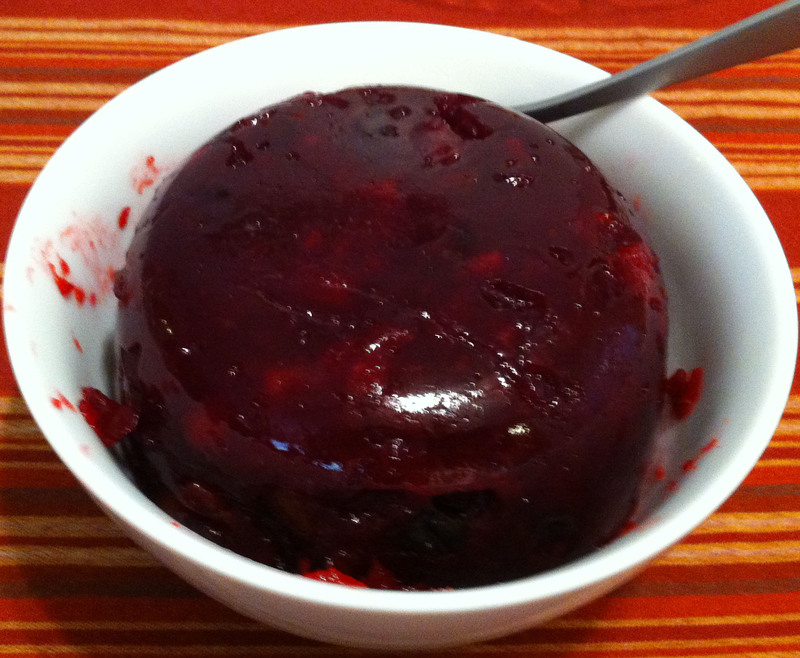 Jan used to make the cranberry Cumberland sauce from the Moosewood Cookbook, but our copy seems to have taken a walk at some point. This year she found something close on My Recipes. 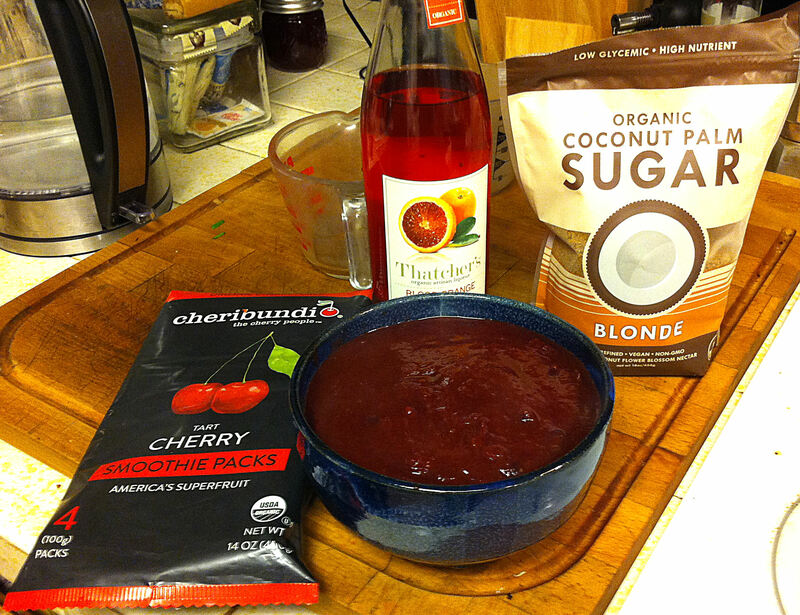 Using the ingredients she had on hand and her own preferred technique, it is more of a handshake rather than an adaptation of the recipe she found.